Rajasthan, the land of kings has always been my center of attraction. Its royalty, rich culture, glorious past, ancient monuments and warm hospitality have captivated my interest since my childhood. My most awaited dream came true when I embarked on this 14 days Rajasthan Tour with my two of my comrades-Khushboo and Neha. We went to Rajasthan by car, and it took around five hours to reach there from Delhi. After reaching Mandawa, we took rest for sometime in our hotel. Then, we moved around the city to explore its fascinating havelis. The architectural splendor, the glorious past and the royal palaces just take you to a completely different world. 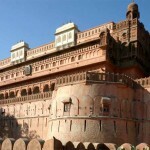 Our next halt was at Bikaner, which is famous for its magnificent forts and palaces. I was too eager to visit the Junagarh Fort for which I have heard a lot. We entered through the Suraj Pol or the Sun Gate, which is the main entrance of the fort. The fort includes 37 palaces and pavilions. It also houses a museum which has a rich collection of rare manuscripts, carpets, weapons, treaties, utensils and much more. 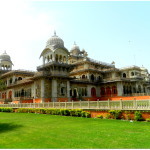 While visiting the Lalgarh Palace of Bikaner, we were completely enthralled. Khushboo clicked some photographs at different locations. Some part of the palace has now been converted into a heritage hotel. The amazing filigree work and meticulous latticework speak volume about the fort. As I have already read a lot about the fort, so I was aware of the library that it houses. I could not believe when I saw the rare collection of original Sanskrit manuscripts. It reflects that how rich the city was in terms of education. People were really inclined towards education and got all the support from the kings in old era as well. While relaxing at night, we all were sharing our knowledge about the forts and palaces we visited during the day. The magnetic charm of the attractions kept us delighted during the tour and soon we were in the next destination-Jaisalmer. 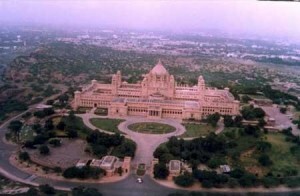 Popularly referred as the Golden City of India, it is situated in the heart of the Thar Desert. Neha had already been to Jaisalmer, so she decided for us the must visit places in the city. Trusting on her knowledge of Rajasthan Travel Guide, we followed her and reached Sonar Kila (Also known as Jaisalmer Fort or Golden Fort). We could see both the excellence of Indian artwork and the magnificence of military. Neha insisted us to go for a Camel Safari and her decision was good. Riding on a camel’s back is not only exciting but also it enables you to explore the glimpses of rippling sand dunes. After taking rest in hotel, we moved forward to our next destination-Jodhpur. Mehrangarh Fort was the first attraction, we visited there. This huge fort is located just five km away form the town. It houses a museum that comprises an interesting collection of weapons, wood antique furniture, musical instruments, costumes, paintings and many more. When we reached Umaid Bhawan Palace, we felt as if we were in a royal era where all we could see the architectural splendor. 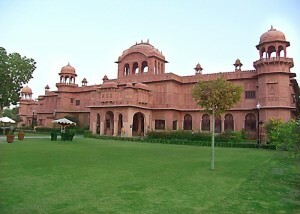 Sprawled across 26 acres of land, the palace boasts of a marvelous architectural of ancient time. It has 347 rooms which reflect the marvel of the Indo-colonial and art deco style of the olden times. A lie to the left of the fort complex is Jaswant Thada, a royal cenotaph. It is built of white marble. Some unique portraits of the earlier rulers of Jodhpur can also be seen here. Enjoying each moment of the tour, we fell asleep and retired ourselves on the bed.